This file is intended for auditing purposes and tends to accumulate a sizable amount of data over time, which can take up a lot of disk space. The auditing data tends to lose its value as time goes by. You now can use this feature to purge this table, and we recommend that you keep one year's worth of data in this table. If "Purge File?" 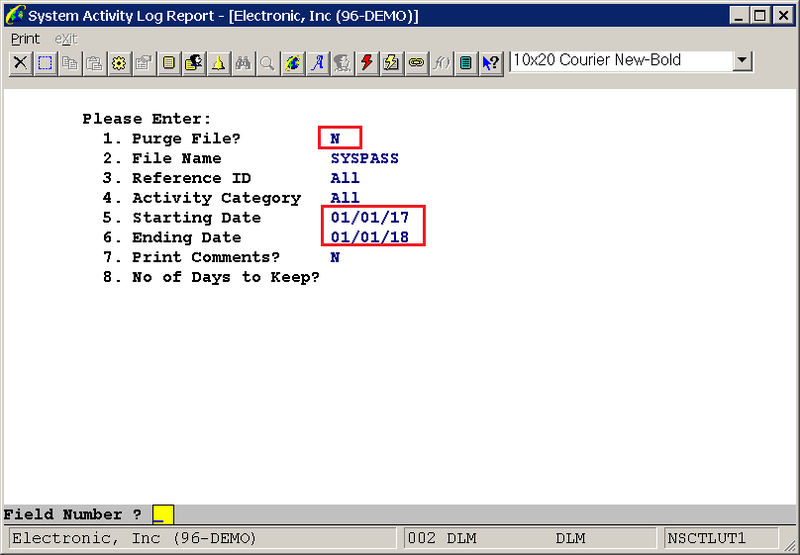 is set to "N," the Starting Date and Ending Date can be entered, and "No of Days to Keep?" can not be entered. If "Purge File?" 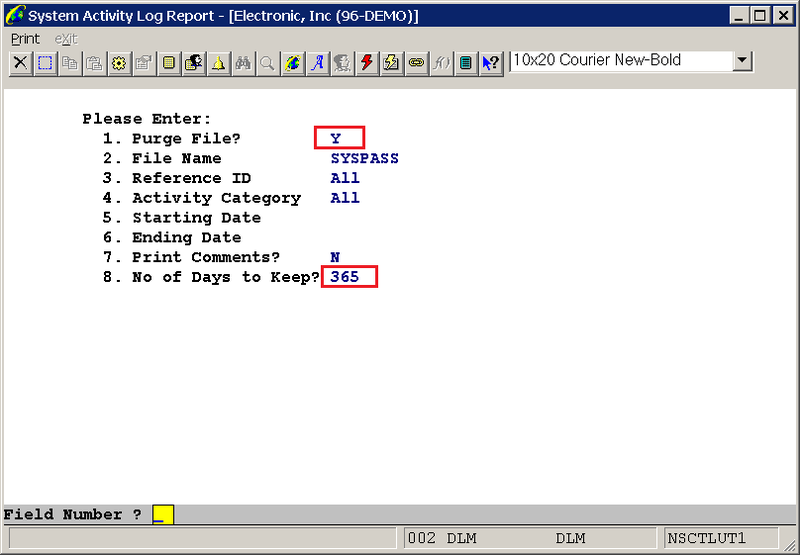 is set to "Y," "No of Days to Keep" can be entered, but the Starting Date and Ending Date fields cannot be entered.